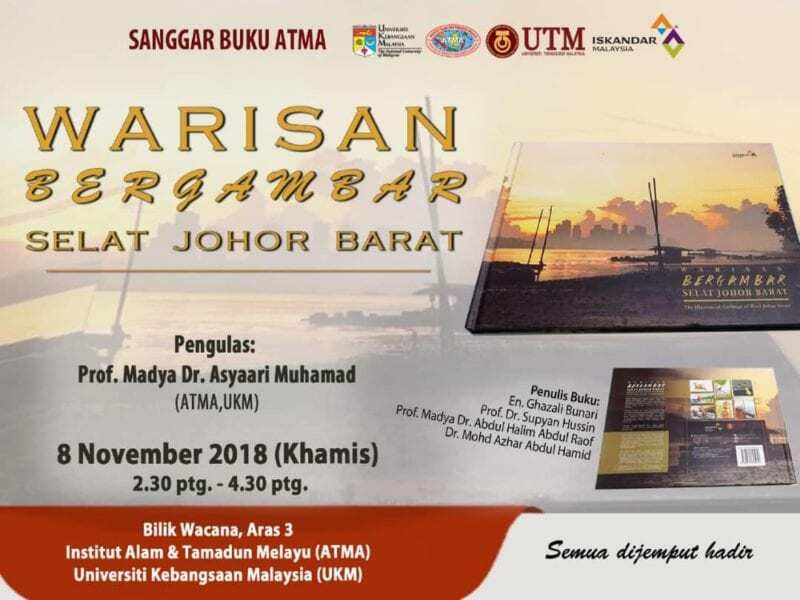 KUALA LUMPUR, 8 Nov. – In lieu with the recent launching of the coffee table book entitled ‘Illustrated Heritage of West Johor Strait’, a ‘sanggar’ or book review session was held at Institute of the Malay World and Civilisation (ATMA), Universiti Kebangsaan Malaysia (UKM). 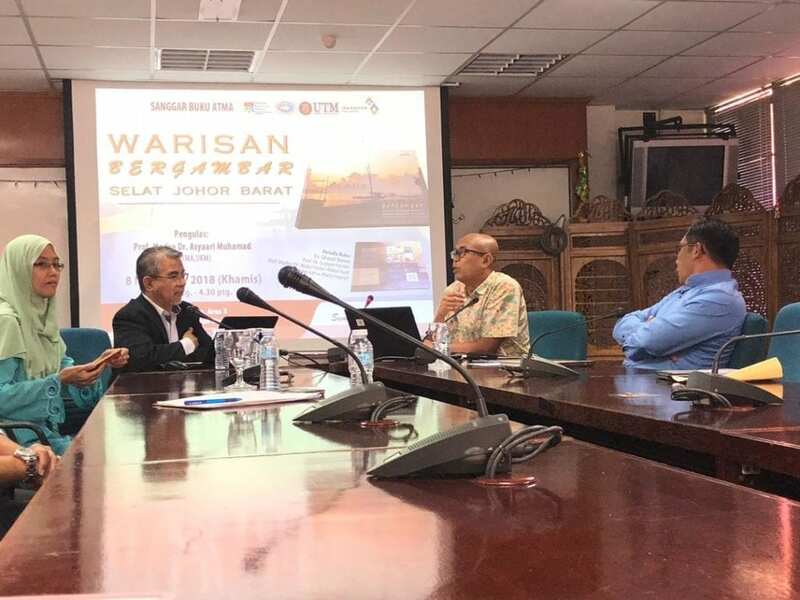 The session was attended by the book authors who are Mr. Ghazali Bunari and Associate Professor Dr Abdul Halim Abdul Raof from Universiti Teknologi Malaysia (UTM), and Prof. Dr. Supyan Hussin from UKM, who also chaired the book review session. Other participants included the translators of the book from UTM and heritage enthusiasts from UKM. During the session, Senior Research Fellow, Assoc. 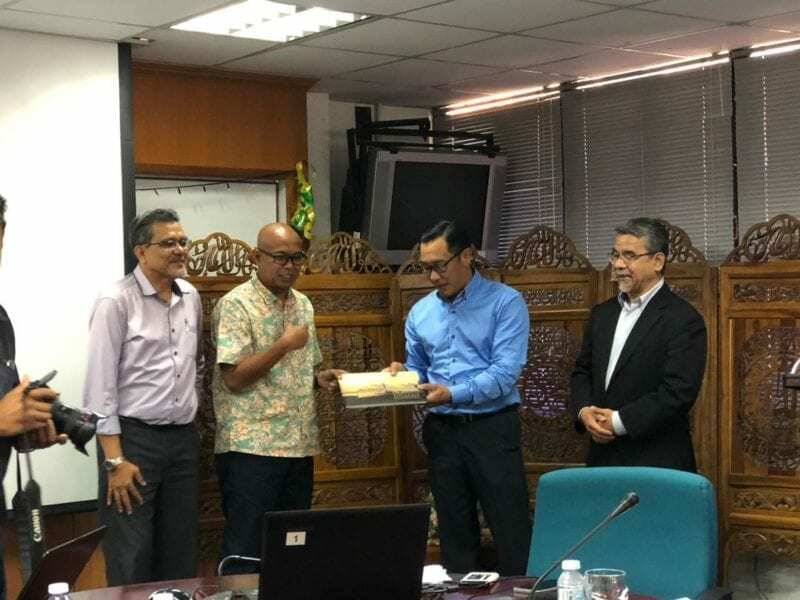 Prof. Dr. Asyaari Muhamad from ATMA, UKM reviewed the book chapter by chapter while addressing its strengths and some provident insights for future projects. a) It is written in two languages, English and Malay, thus more readers can enjoy it. b) It has amazing illustrations and stunning photos. This appeals to the present generation who prefers short messages and instant gratification. Additionally, this fruitful event witnessed some knowledge and experience-sharing session by the authors on what ignited them to write the book, the challenges faced throughout the process and their expectations of the book which is hoped to link the future generations with their forefathers’ heritage. Subsequently, Ms. ‘Atiqah Shaharudin (UTM), also shared her experience as one of the translators of the book in which she highlighted that the experience was priceless as academicians rarely get the chance to translate this kind of ‘soulful’ material. The audience applauded IRDA’s effort in publishing the book. 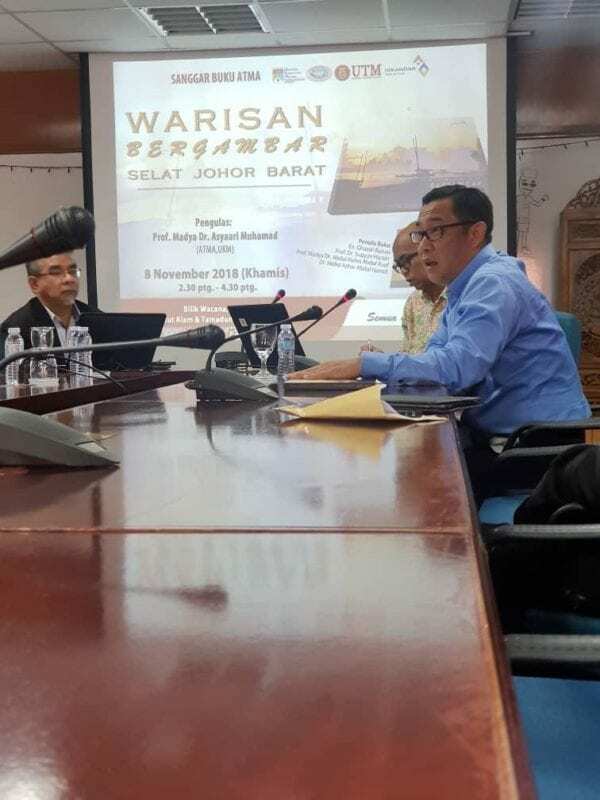 It is hoped that more publishers and writers will take part in documenting heritage as part of the preservation efforts of the local culture and heritage in Malaysia.